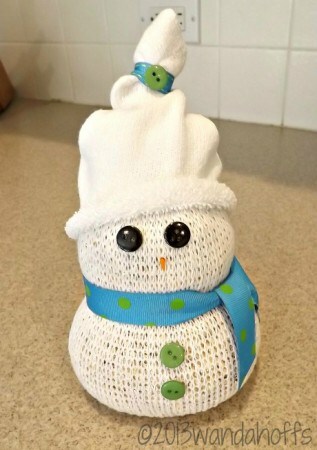 You probably already have everything you need to make this cute tube sock snowman craft. 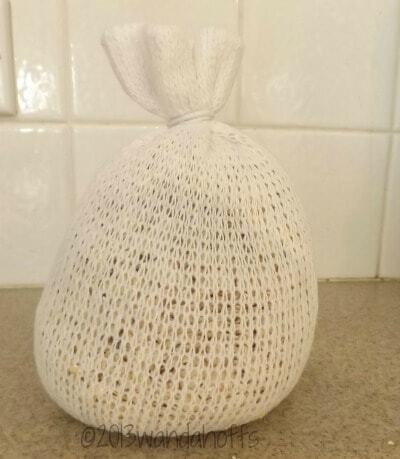 Here's how to make a sock snowman with oatmeal, sand, or rice. Are you ready for Christmas? I sure am. I love Christmas, it is my favorite time of the year. I also love to make Christmas crafts. My home will be decorated with many of our homemade Christmas crafts. However, Christmas can be very busy and hectic, so I like super quick projects that will fit into my schedule. I have this thing for snowmen. 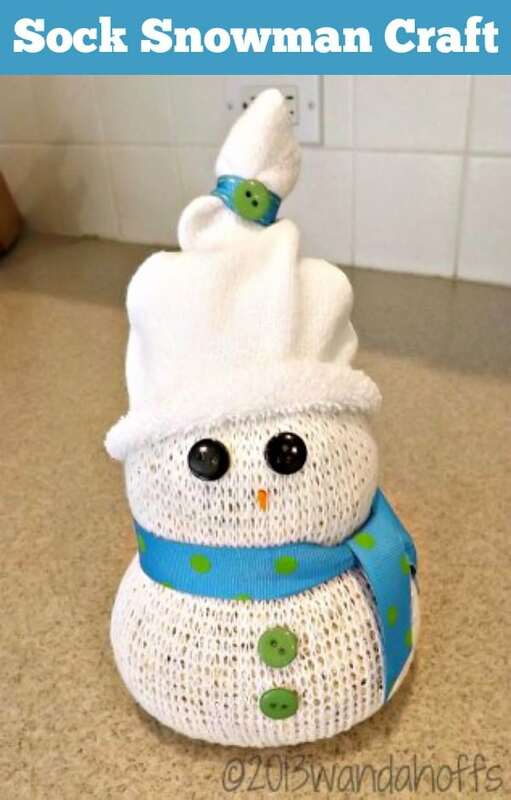 I just love them and think they are just the cutest thing, so when I saw this snowman made with a tube sock and rice, I just had to make it and share with all of you. This is one of the quickest crafts and is easy enough for your small children to help with too. Here's how to make a sock snowman! 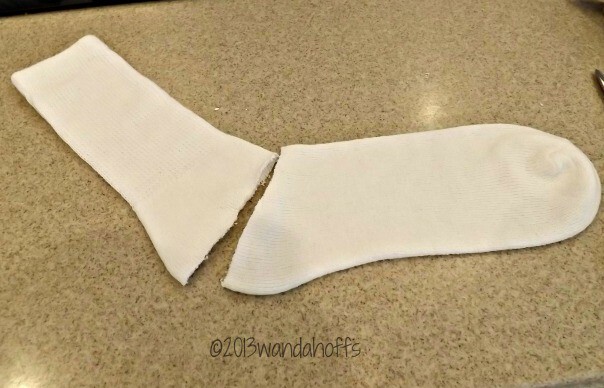 Cut off the foot part of your sock. You will need the tube part to be the body of the snowman, the foot will be the hat. 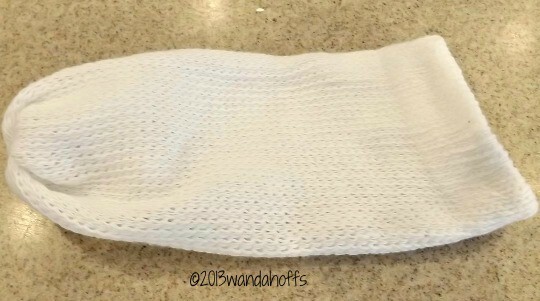 Turn the tube part of your sock inside out and wrap a rubber band around the bottom of the sock. 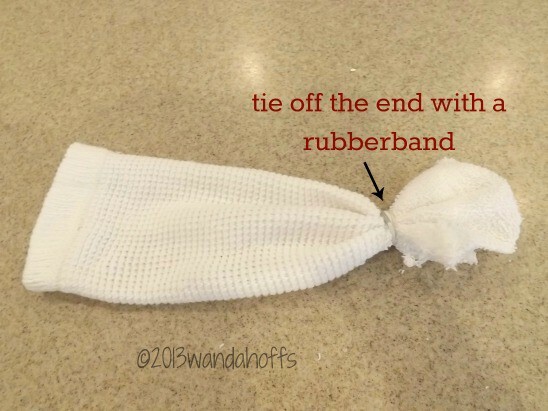 Turn the sock right side out, the tip that you wrapped the rubberband around will be on the inside of the sock. Fill the sock with your filler. Close the top by using another rubber band around the top. Use the ribbon as the scarf, once you tie the ribbon around, you will have 2 snowballs formed. Next hot glue your eyes, nose, buttons and other embellishments you want. Cut the foot of the sock to your preference for the size of the hat. You can always use a colorful patterned sock for the hat. And there you have it – the cutest, easiest, little snowman you'll ever make! What Christmas crafts have you been working on? Just made this lil guy.. too cute… I changed it up a bit tho… still basically followed your directions. Thanks for a fun simple idea..